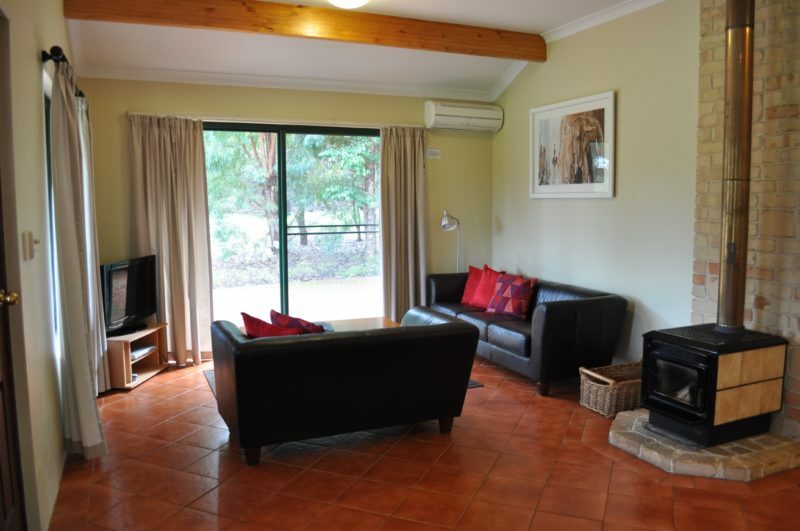 Karri Valley Chalets offer one, two or three bedroom fully self-contained chalets, designed to satisfy the discerning guest who prefers quality accommodation on a private property in the heart of the Karri Valley. Offering a true home away from home, each chalet is superbly appointed and very spacious, offering modern conveniences such as reverse cycle air-conditioning, iPod dock, large open-plan living area, full size kitchen, modern bathroom, spring water supply and extremely comfortable beds. Undercover barbecue area, parking for two vehicles and your own private veranda overlooking a tree lined valley. 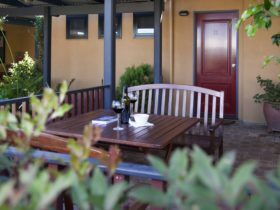 Your privacy is assured as the chalets back directly on to Beedelup National Park. While the location is private and secluded, it’s still only a leisurely 10 minute walk in stunning surroundings to a shop, a-la-carte restaurant, trout lake, canoeing, waterfalls and much more. 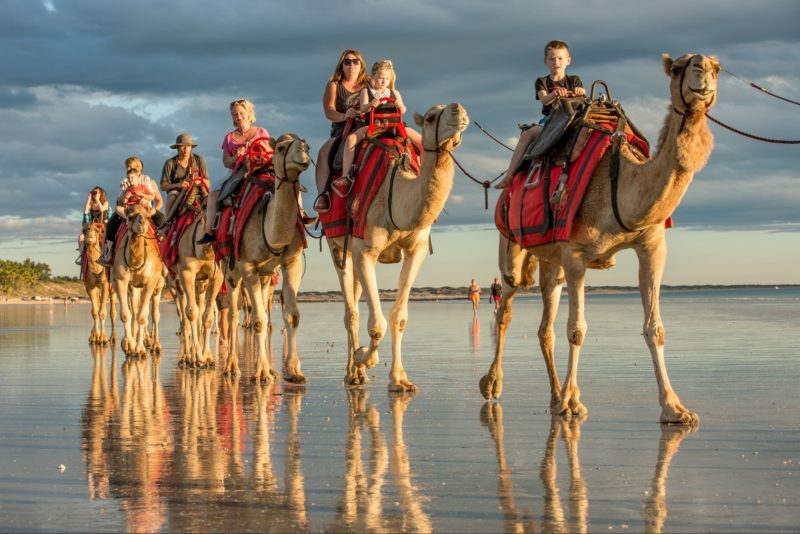 As a family owned and operated business, they offer personal service, genuine country hospitality and have extensive local knowledge. These unique chalets are built of colonial-style brick with great heat and sound insulation, providing you with the best quality accommodation available. Offered in one, two or three bedroom configurations, the accommodation can sleep up to six guests. 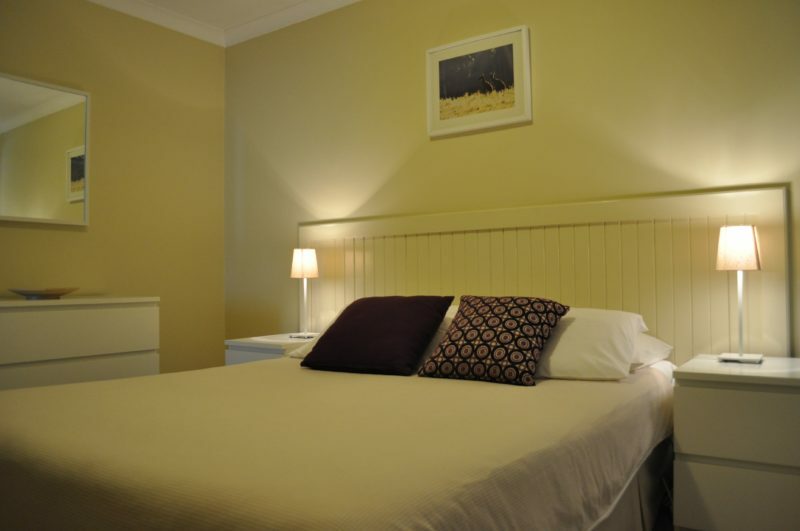 Fully equipped with a spacious living area, full kitchen, air conditioning, log-fire and more. Facilities also include an under cover barbecue area and walking trails through the adjoining national park to lake and waterfalls. Smoking is not permitted in the chalets. Rates are based on the size chalet required and duration of stay. Discounts apply for longer stays.